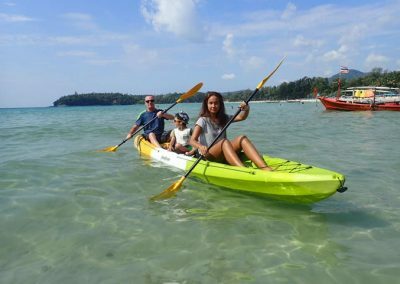 Phuket is an amazing tourist location with picturesque views and beautiful beaches. 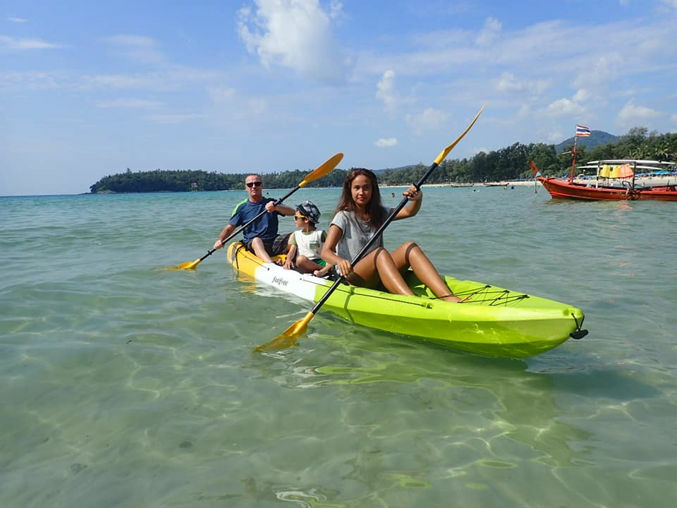 Being the largest island in Thailand while also having a perfectly temperate climate thank’s to its location near the equator, it’s no surprise that travelers across the globe love coming to Phuket for their holidays. One of the main attractions of Phuket is the gorgeous beaches. While many love the calm serenity of sunbathing on the soft warm sand, we’re more fans of the exciting feel you can only get from conquering waves on the roaring sea. 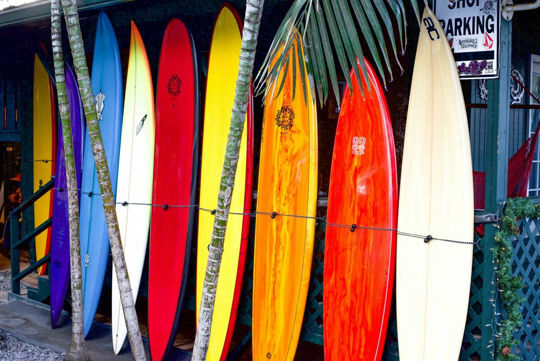 The beaches of Phuket are the perfect backdrop for a surfing trip. 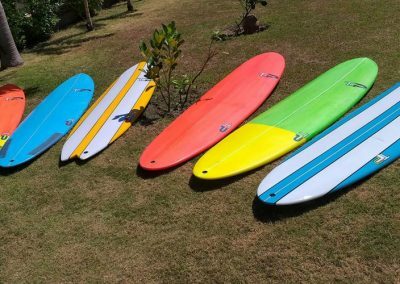 Where to surf in Phuket? 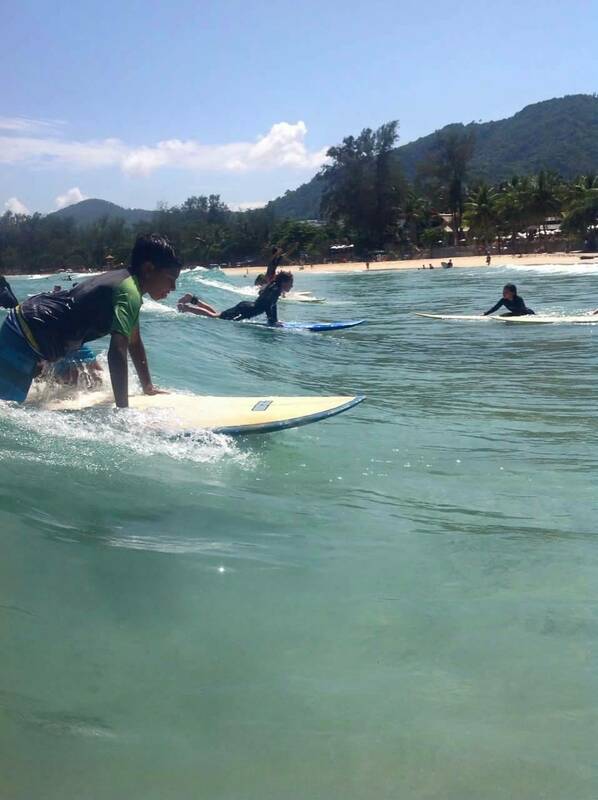 If you’re interested in surfing in Phuket, we’d recommend trying out Kata Beach. Kata Beach is well-known for its pure white sands and crystal clear ocean water. Many love spending their afternoons there and enjoying great food around the area. 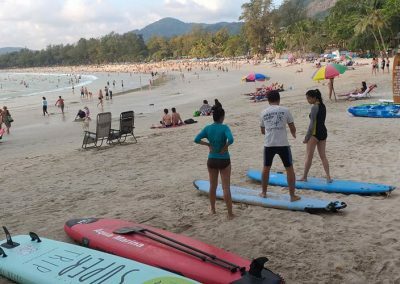 Yet, the most defining feature of Kata Beach is its reputation as one of the best surfing locations in Phuket, if not South East Asia as a whole. 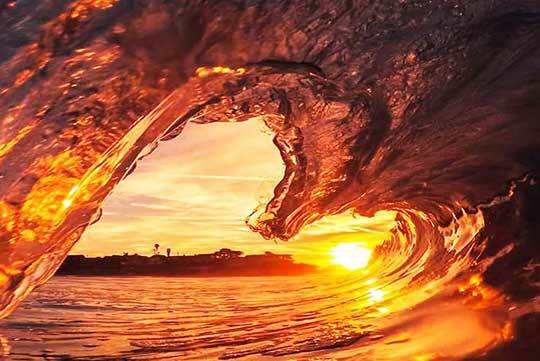 The perfect waves are a treat for any aspiring or expert surfer, especially during the months of May to October, where the entire shoreline is filled to the brim with thrill seekers. Why keep yourself left out? 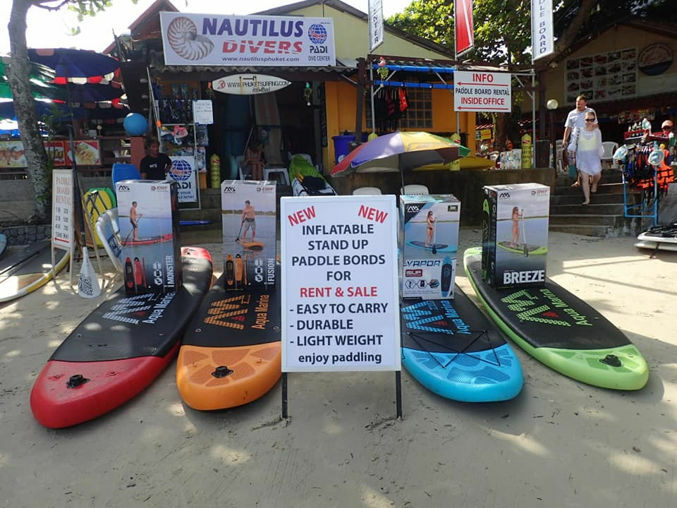 At Phuket Surfing in Kata Beach, we rent out boards for all your needs, from a wide range of surfboards, stand-up paddles, we’ve got you covered. 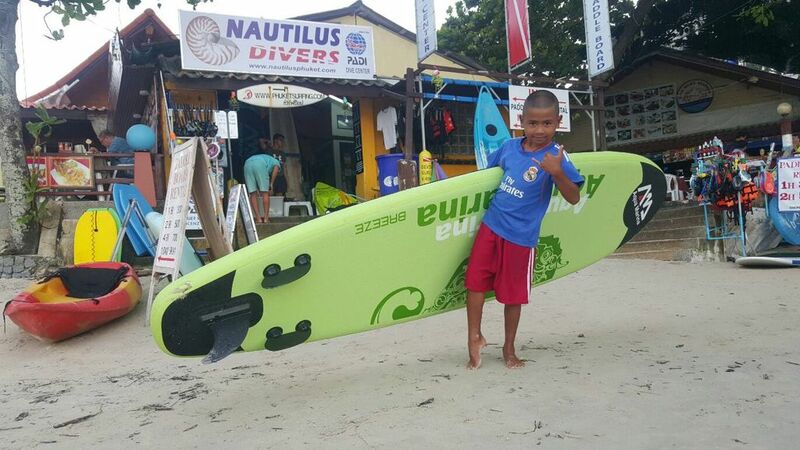 If you’re coming with your kids too, they can join the fun with boogieboards and skimboards! For those after a cooperative experience, we also offer kayaks as well. Your safety is of our utmost concern, and thus, you can expect only the highest quality rental gear. Not a surfer? That’s not a problem. We’re all about spreading the fun to the masses. All you need to get to grips with surfing are well-experienced instructors. 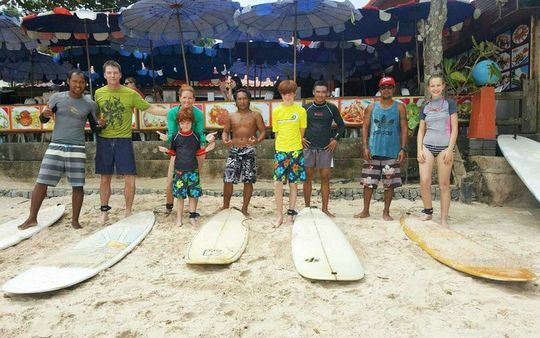 To help you out, we provide surf lessons with the best surf guides in Phuket, and we’re still adding to our roster. 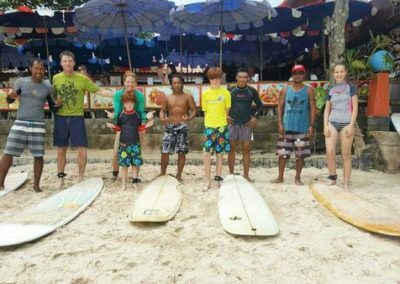 Our guides are chosen from the best surfers around with all the knowledge required to make you an excellent surfer. Don’t worry about getting along either, all our guides are easy going, friendly, and nice. 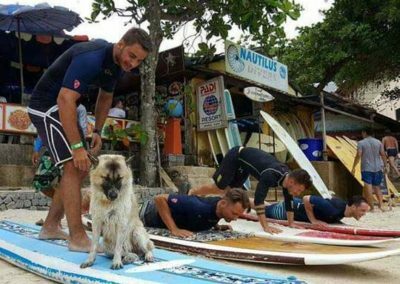 Our surf guides aren’t just instructors, but friends that can tell you all about the special experiences in Phuket you won’t read about online. We’re not giving you lessons, but an experience that you’ll remember for life. 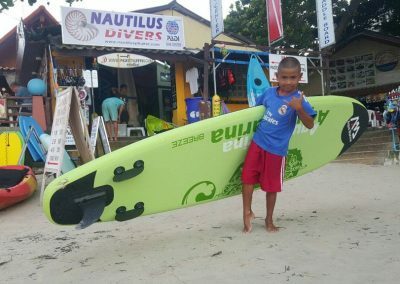 By the end of things, you’ll be a surfer with a good grasp of the basics, and you’ll even have a list of places to go too! What’s not to like. Not a fan of surfing or kayaking, why not try diving? 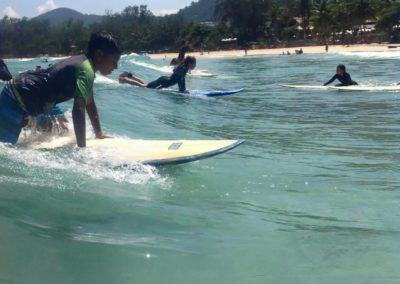 Phuket Surfing also has diving as an option, allowing you to enjoy the warm water while also admiring the underwater scenery. Similarly, we also offer training services to get you down with the basics. 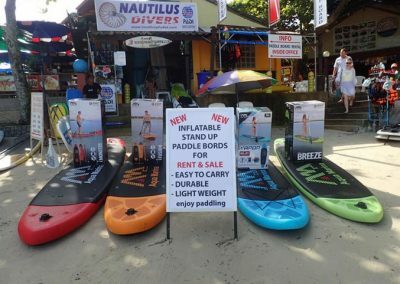 If we’ve got your attention, and you’re ready to enjoy the thrill of surfing on the Andaman Sea, you can find us at 186/1 Katanoi Road. We’re open daily from 9am to 7pm. Even if you’re not in Phuket, you can check out our website to contact us with any inquiries. We’d be glad to clear any doubts you might have!